This second in his series of books that look at his many deer hunting experiences with deep emotion and in others a profound uplifting sense of humor, Jim Zumbo captures the same high drama of hunting relationships that characterized his first in this series, “To Heck With Elk Hunting.” Over a long career as an outdoor writer Jim Zumbo has hunted deer in just about every part of the North American continent. 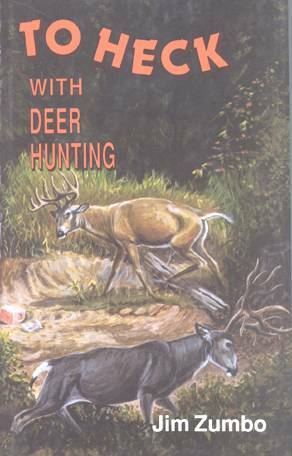 In “To Heck With Deer Hunting” , he starts at the beginning – as a teenager in his home state of New York, shares the excitement of moving west as a young forestry graduate, and then captures, in 31 chapters and 206 pages, dozens of episodes that will sometimes make you laugh and on other occasions strike a deeper nerve, such as the story in which he shares the experience in which one of his daughters gets her first deer. More than 50 photographs, 206 pages. Hardcover only.